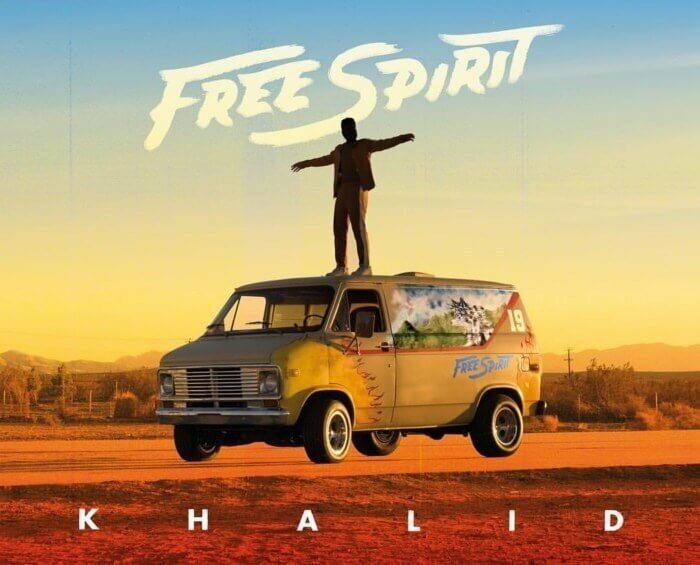 Khalid recently dropped his sophomore, 17-track studio album, titled “Free Spirit,” and it’s interesting to say the least. “Intro,” the first track, immediately reminded me of The 1975. The song is basically prepping the listener for what they’re about to experience, which is what The 1975 has done in all of their albums. The opener uses various synths and beats to create an interesting and fun song; it’s perfect to open the album. The best song on the album has to be “Hundred.” This is the perfect track to play while you’re driving around with the windows down. The backing harmonies are angelic, completing the experience, while Khalid’s vocals are super soothing and will never get old. What makes this song the best is the lyrics. For example, the line “You gotta pay to live and even dying ain’t free” is something everyone can relate to, and it’s a way for the listener to put themselves in his shoes. Khalid has two collaborations on this album. The first one, “Don’t Pretend,” features Safe and is the most boring song on the LP. There isn’t much to it, and it’s not very complicated. The track is also lacking standout lyrics, and it seems like it was quickly thrown together without much thought. The second collaboration, titled “Outta My Head,” features John Mayer. This song is the complete opposite of “Don’t Pretend.” It has an interesting sound reminding me of ‘60s disco, which is awesome, and honestly, I just want to dance around to it. Overall, Khalid’s album, “Free Spirit” was a great addition to the contemporary R&B community and to music itself. I can assure you I’ll be listening to this album on repeat for weeks. A feeling of sheer enjoyment is not usually associated with the thought of “morbid stuff,” however, this was exactly the case for the new album by the thrilling Canadian punk-rock band, PUP. 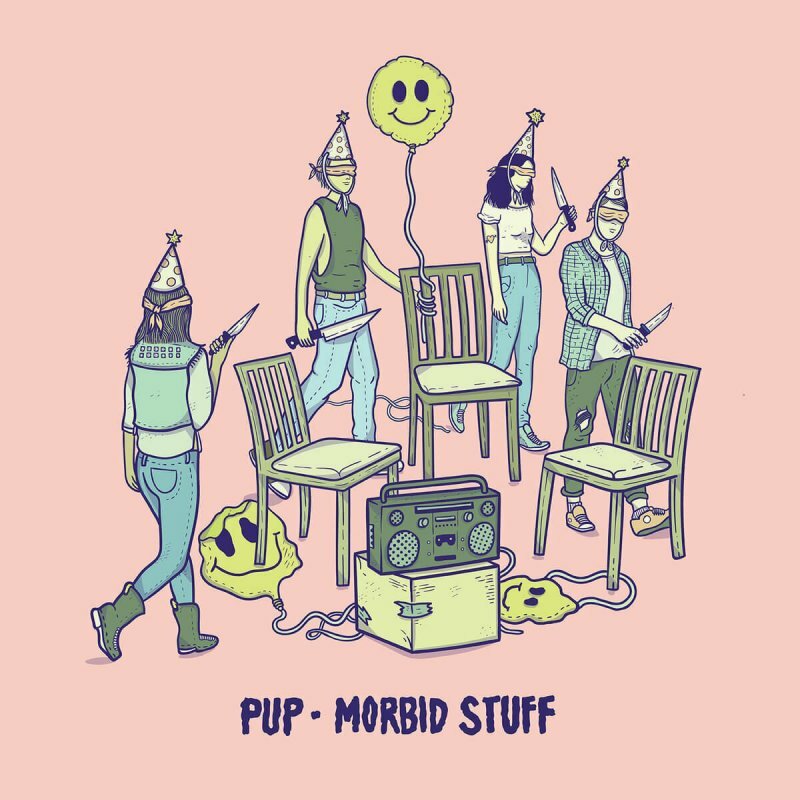 Like PUP’s previous two releases, “Morbid Stuff” is also full of exciting musical arrangements and brutally honest lyrics from lead singer and guitarist Stefan Babcock. No one in the lyrical business of sad truths, nihilism and depression does it quite like PUP — their explosive guitar riffs and powerful vocals work in unison with their ever-so-catchy melodies and choruses. In the end, it often creates a distinct sound equivalent to that of a dance party in a morgue. Tracks like “Morbid Stuff,” “Free at Last,” and “See You at Your Funeral” are great examples of this trademark sound, encompassing the creativity and originality that is sought after by music lovers. From track to track, “Morbid Stuff” doesn’t seem to lose its momentum at any point, with the exception of the last song, “City,” where they slow down their music to really hone in on the personal, dispiriting themes that are present throughout the record. Not only from track to track, but within tracks, it’s astounding to hear how well the energy from both the instrumentals and lyrics move each song along. The melodic breaks on the songs “Scorpion Hill,” “Bloody Mary, Kate and Ashley,” and “Kids” are sure to give you goosebumps, adding incredible depth to not only the individual moments, but to the album as a whole. With this album, Pup’s discography continues to grow full of honest, emotional songs that are at the same time captivating in soundscape. “Morbid Stuff” seems like it will stand with their previous album, “The Dream is Over,” as an impressive, authentic landmark in today’s punk rock music scene. This is surely an album of theirs that I will have on repeat for the foreseeable future.